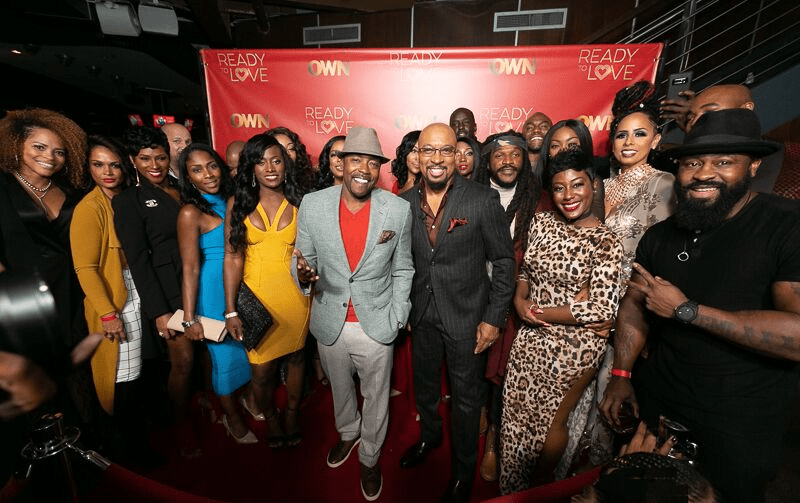 Two nights ago, OWN: Oprah Winfrey network hosted a lively premiere watch party for their new dating series, “Ready to Love,” produced by Will Packer and hosted by Thomas “Nephew Tommy” Miles. The cast along with friends, family and VIPs gathered at Suite Lounge in downtown Atlanta to celebrate OWN’s first-ever dating show. Moments before the live broadcast, guests enjoyed cocktails and music by DJ Traci Steele. OWN’s EVP of Programming and Development, Jonathan Sinclair, greeted the crowd before handing the mic over to Will Packer, who thanked Atlanta for their continuous support of his films. Nephew Tommy echoed Packer’s sentiments and encouraged guests to spread the word and tune in to OWN every Saturday at 10/9c for the rest of the season. Special guests included “Sister Circle Live” co-hosts Syleena Johnson, Rashan Ali, Quad Webb-Lunceford and Trina Braxton; “Greenleaf” star Lamman Rucker; comedian and tv personality Kiana Dance; Xscape singer Tamika Scott; comedian Shawty; actress Reece Odum and actor Mike Merrill. Attending from the cast were Christina Granville, Melinda Ruff, Dr. Alexcius “Lexy” Branch, Stormy Monroe, Rita Davis, Courtney Thompson, Shanta Duncan, Shatava Lindsey, Shea Pegues, Ashlee Akins, Tiffany Kirk, Angel Frank, Kebba N’Jie, Aaron Cotteral, Alexx Blanks, Michael Gould, Chris “Paco” Cunningham, Darnell King, Pastor Chris Evans and Devan Dmarcus. #ReadytoLove airs Saturdays at 10/9c on OWN. For more information, visit http://www.oprah.com/app/ready-to-love.html.